Eric Bruton, Chair of the ACS Saint Louis Award Jury, has announced Washington University chemist D André d’Avignon as the 2013 Award winner. For the past three decades, Dr d’Avignon has managed the Washington University High Resolution NMR Facility. 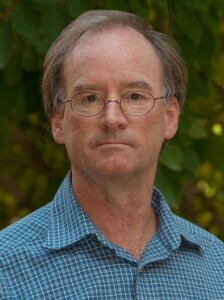 He has published over 70 manuscripts in peer-reviewed journals, participated in numerous grant proposals as principal- and co-investigator, and has contributed to the training and education of undergraduate and graduate students in formal classroom lectures, teaching laboratory settings, and numerous hands-on one-on-one sessions at the NMR spectrometer console. After receiving his BA from State University of New York at Plattsburgh and his PhD from the University of Illinois at Urbana-Champaign, Dr d’Avignon worked for four years at American Cyanamid in Stamford, CT. Washington University hired him in 1984 to help develop the Chemistry Department’s new NMR Facility, which opened in 1985 under his direction. The NMR Facility now houses seven modern spectrometers, has over 100 active users, and provides services to more than 40 research groups from 14 different departments at Washington University alone. In addition to his work with academic chemists, Dr d’Avignon has coordinated and directed NMR Facility research in support of corporate chemistry laboratories, including Nabisco Brands, Pillsbury, Kraft Foods, Monsanto, Mallinckrodt Medical, Reliable Biopharmaceutical, Solae, Ralston, Nestlé, Israel Chemicals, Asteras, Petrolite, Chemir Polytech Labs, and ISTO Technologies. Dr d’Avignon has also participated in numerous projects in collaboration with the Saint Louis FDA (i.e., Division of Pharmaceutical Analysis, Center for Drug Evaluation and Research, United States Food & Drug Administration). André’s policy has always been that the Facility is “available 24 hours per day, 365 days per year.” I cannot count the number of Saturdays at 8 am, or Sundays at 10 pm, that I or my students have sat with him at the spectrometer trying to uncover the best pulse sequence or decoupling parameter to uncover the secrets held by our biospecimens. … His intellectual gifts and sheer grit serve as a central node in a remarkably collaborative and perpetually growing network. In a scientific professional life that has extended over fifty years, I have had numerous collaborators on every level from undergraduate neophyte to professorial sage. Yet, in only two other cases can I say that the sheer pleasure of working together matched that of working with André. … A younger colleague once said to me about him: “I wonder when he sleeps.” I wonder too. Currently, Dr d’Avignon is collaborating in research that uses NMR to study: (i) diet-mediated heart metabolism, (ii) mechanism(s) of glyphosate (Roundup®) resistance in weedy and invasive plant species, (iii) flux in plant phenotypes through the non-mevalonate pathway, i.e., the 2-C-methyl-D-erythritol 4-phosphate/1-deoxy-D-xylulose 5-phosphate pathway (MEP/DOXP pathway), (iv) flux through the pentose phosphate shunt during glycolysis in erythrocytes, a measure of oxidative stress, and (v) bacteria as a model parasite for screening anti-malarial drug candidates. 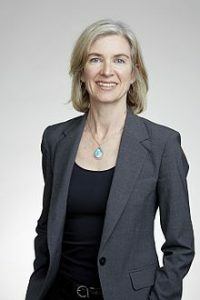 The Saint Louis Award, sponsored by the Monsanto Company and administered by the Saint Louis Section–ACS, is presented to an individual who has made outstanding contributions to the profession of chemistry and demonstrated potential to further the advancement of the chemical profession. The award, consisting of a $1,500 honorarium and a plaque, is presented at the Saint Louis Award Banquet, generally during National Chemistry Week in October. (Stay tuned for details on the Award symposium and banquet.) The awardee is selected by a review committee constituted by the Saint Louis Section–ACS.